The Honeywell 6460 is a premium alpha keypad new aesthetic style that is unmatched. The 6460 comes in two colors, either Silver Color 6460S or White Color 6460W. The unique, symmetric plastic design and color schemes make this an ideal choice whether your customers have a light décor in their hallways, offices, stainless steel kitchens and garages or are just looking for something a little more rugged for their warehouses. With the 6460 you can custom-programming the zones (e.g. Jennifer's Bedroom, Garage Door, etc. 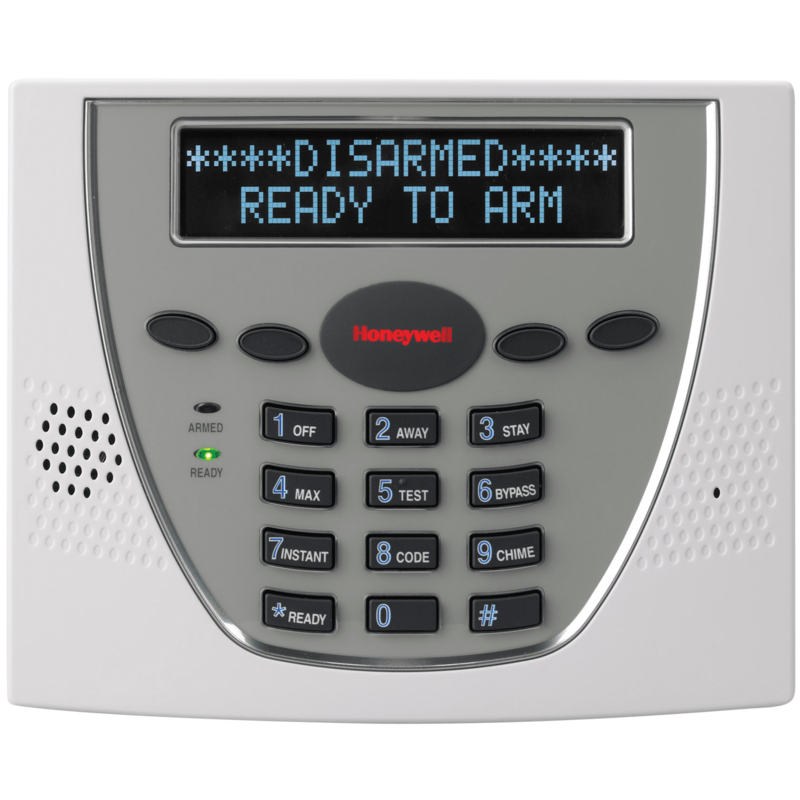 ), so you know the exact nature and location of any alarm which allows you to react quickly. The vivid, negative-mode display and negative-etched keys give the keypad a little more of the cool factor and increase visibility in a darker area or from a distance. The four function keys are easily accessible and can be programmed for quick arming, controlling lights, opening a garage door, panic situations, health emergencies and much more. Self-adhesive labels are included.